Germany to travel around the globe covering 30,000 km in 125 days. Why 125? So it happens that this year is Mercedes-Benz’s 125th birthday. Norway, Denmark and back to Stuttgart, Germany in June. Mercedes said that the B-Class F-Cell No3 could not complete the trip as is. or replacing it altogether with a spare car. 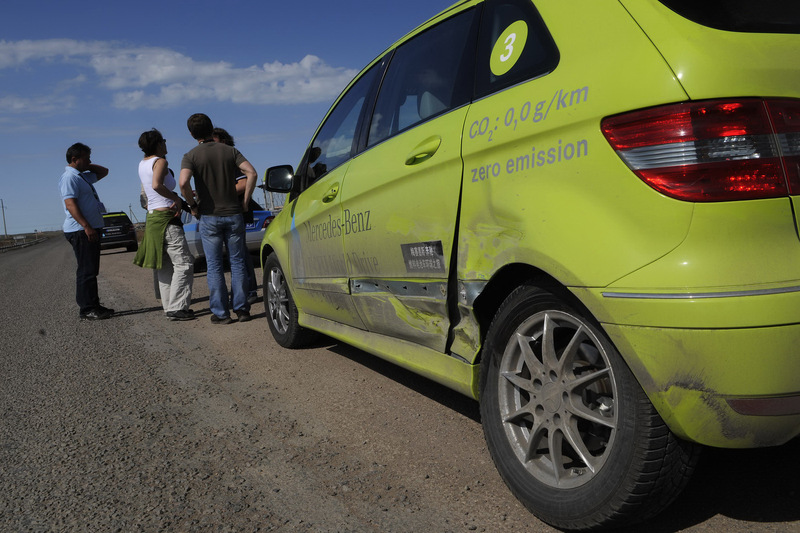 Accident in Kazakhstan… why do I think of Borat?